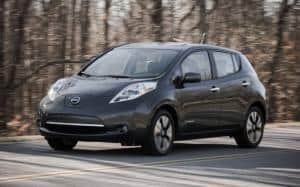 Nissan CEO, Carlos Ghosn once again showed how his company is committed to electric vehicles by dropping the price on the 2013 Nissan Leaf by 18 percent. There is a newly added S trim level of the five seat EV which will start at an MSRP of $28,800. This means a net price in the high teens in states that offer incentive pricing to the $7500 federal tax credit. Nissan also announced a $199 per month lease deal on a 36 month term. This is far below other vehicles in this price range. Part of the lower price is due to the fact that the Leaf will be produced domestically in a new facility located in Smyrna, TN. Ghosn is forecasting a 20% increase in 2013 sales from 2012. Look out for the new Leaf at your local dealer and if you need to ship your vehicle, please consider Direct Express Auto Transport.